1 celebrity lookalikes | This Blog Rules | Why go elsewhere? Before we go on, I need to confess that I’m aware of how overdone this kind of article is. I’ve seen way more side-by-side comparisons of horses and Sarah Jessica Parker than I think anyone needs to in a lifetime. But, as the saying goes, “baby, seasons change, but people don’t.” This is why we still come back for more, regardless of whether it’s overplayed or not. The good part is that the world of celebrities is in constant changes, therefore helping new stardom aspiring people emerge from the masses on a regular basis. So, this is what I say: let’s find some celebrity-animal lookalikes that are so stunning you’ll begin to wonder why didn’t the theory of evolution tie humanity with every animal, and just primates. I say that we should put an end to the age of horses and Sarah Jessica Parker and let others take the spotlight for once. This is serious business. 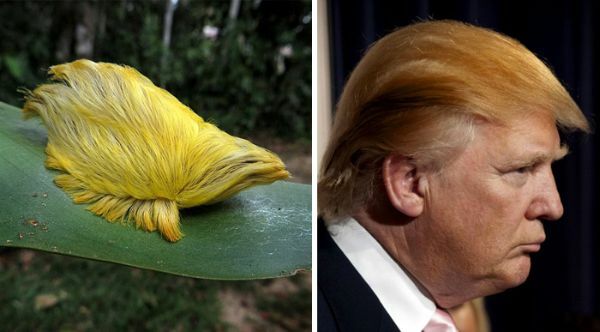 These are 10 Stunning Animal And Celebrity Lookalikes. On the right: Vladimir Putin. On the left: a very stern looking dog. It’s not easy being the leader of a powerhouse country, which used to, more or less, have absolute supremacy over most of the world. You have to face the daily responsibilities of a presidency and the mockery of the Internet. As funny as it may seem, this isn’t the first time the Russian leader has lost a battle to the satire of social media, and surely it won’t be the last either. On the right: Snoop Dogg. On the left: a not so snoop dog. Since I’m not really well versed in the matter of Snoop Dogg’s whereabouts, I’d rather address the other side of the picture. Believe it or not, he is also a celebrity! 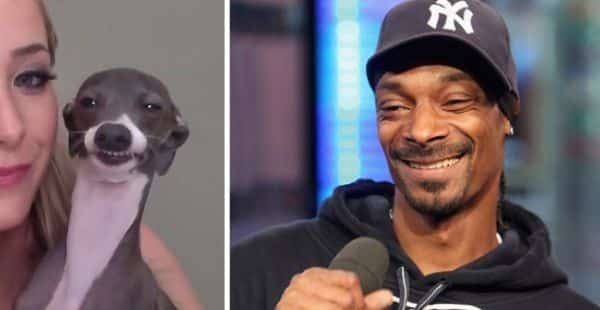 His name is Kermit, and he is the beloved dog of YouTuber and Internet sensation Jenna Marbles, who became a viral sensation with her How To Trick People Into Thinking You’re Attractive video. These days, she is also popular thanks to the relationship with her three dogs and, funnily so, the Snoop Dogg comparison is a long running gag in her fandom and one of the most common celebrity lookalikes. On the right: Adolf Hitler. On the left: a cat that looks like a Looney Tunes villain. Hitler isn’t exactly joke material, and if he does somehow manage to become the subject of a good laugh, this is basically a one-way ticket to Hell, according to some. 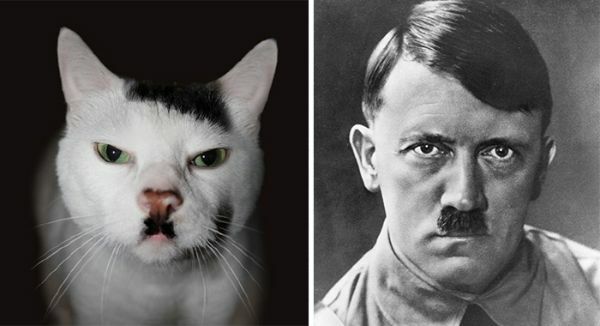 But, what will you do: someone found this cat, immediately thought of the infamous Nazi leader and shared it with the Internet as yet another of the many celebrity lookalikes. And being the way it is, it probably was busy for a very long time trying to determine the verisimilitude of the picture (I’m talking about the cat, I have zero doubts that Adolf Hitler actually existed). On the right: John Travolta. On the left: literally the weirdest looking dog I’ve ever seen. John Travolta has one of those faces that you would be able to recognize with a paper bag on both your and his head. He has a long career behind him, and a considerable number of iconic performances. 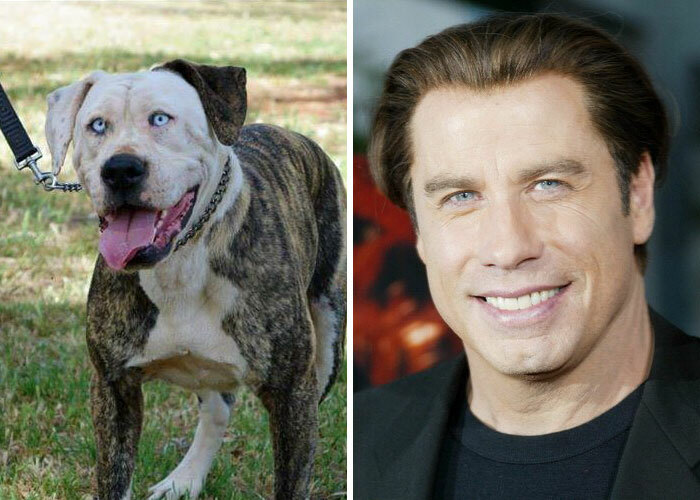 And it seems that he went from swooning ladies everywhere with his role in Grease, to discovering his long lost canine brother. We’re really happy for you, mister Travolta. Family is always important. On the right: Donald Trump. On the left: honestly, I don’t even know. Really, what is that? I’m not even talking about Trump’s hair here, since it was the center of comparisons with literally everything from an ear of corn, to a troll doll. I think I know what happened to the thing on the left, though. It probably was once an animal, but it couldn’t bear living so secluded from the Republican candidate, so it turned itself into a wig. This way, it hopes it’ll be able to occupy his head and live happily ever after. 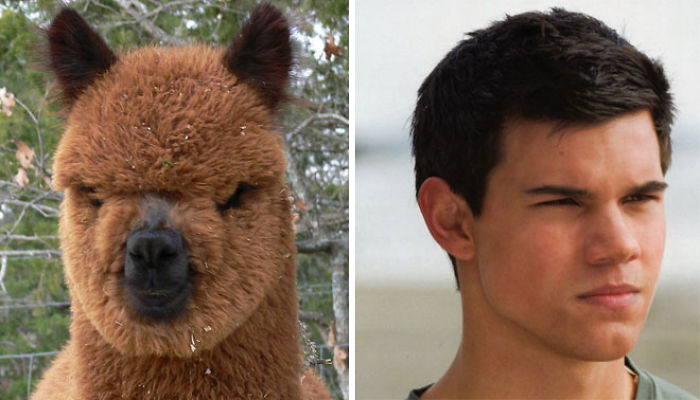 On the right: Taylor Lautner. On the left: an alpaca (because they are aesthetically different from llamas). There is no better time to make fun of a celebrity than when they are at the peak of their stardom. But that doesn’t mean we’re too shy to do it even when the flame doesn’t burn so brightly anymore. The Taylor Lautner – alpaca pair up is almost as old as Sarah Jessica Parker and horses, so for the sake of nostalgia, we decided to include it too. On the right: Snoop Dogg again. On the left: I think I understand why the “dogg” part of the name. 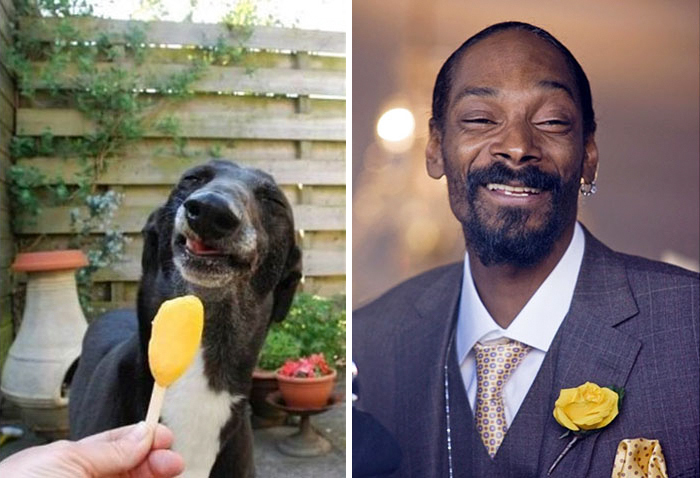 What is it about Snoop Dogg’s face that’s so easy to find in the complexion of various mammals? He seems to be the center of most celebrity lookalikes situations. No offense brought to anyone, though. I’m sure he’s a decent guy, and the dog on the left looks like it’s having the time of its life, so let’s bring this topic to a halt. On the right: Dalai Lama. On the left: ironically, a llama. I don’t think this is what the Tibetans expected when they forged two words with a profound meaning into the famous “Dalai Lama” title. 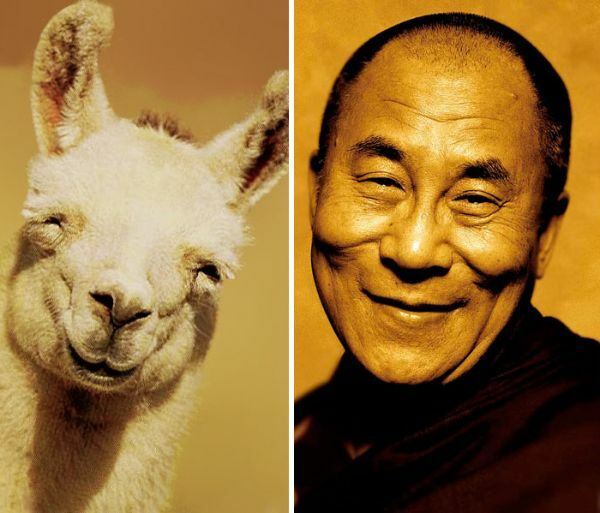 The word “lama” actually has nothing to do with the friendly fellow in the picture, and instead it’s an equivalent of the Sanskrit word that means “guru.” Since beggars can’t be choosers, let’s just ignore all of this factual information and pretend it has something to do with actual llamas. We’ll just say that it’s further proof that Tenzin Gyatso was born to be the 14th Dalai Lama. On the right: Adrien Brody. On the left: a monkey. We’re nine spots into this list, but forgot to ask ourselves one important question: are we going to say that the animal looks like the celebrity or that it is the other way around? Either way, for this particular case, let’s just say that it’s the monkey that has this honor. 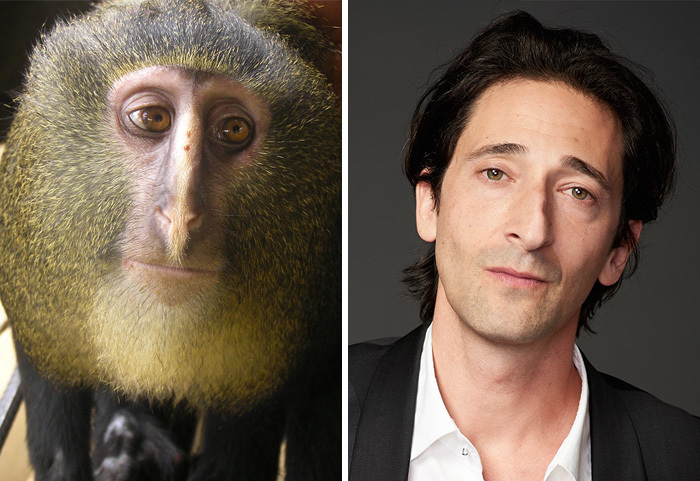 After all, Adrien Brody’s appearance is unique enough to be rare to find among other humans, let alone in the animal world, making one of the most memorable celebrity lookalikes. On the right: Harrison. On the left: a very cheeky looking golden retriever. The first thing that came to my head when I saw this picture was: how amazing would a Star Wars reenactment just with dogs be? This comparison is fit to end this list, since it seems like it benefits both sides of the picture. 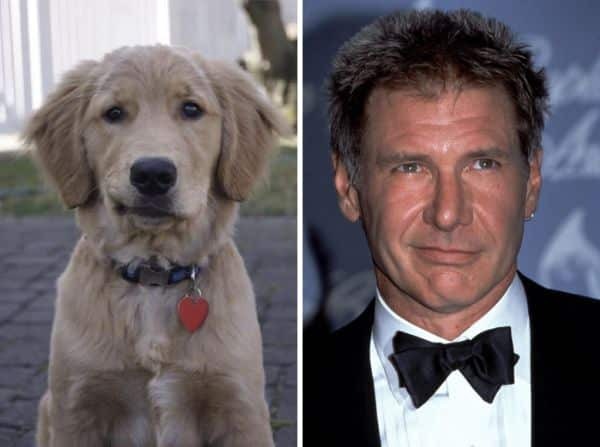 Harrison Ford is a handsome man, the dog is adorable, and should some brilliant mind decide to make Bark Wars, it seems like they’ve found their canine Han Solo. Which one was your favorite celebrity equivalent in the animal world? Let me just tell you, there were much more offensive picks that could have been included, but we figured the world is tough enough as it is. We don’t need to add wood to the fire by pointlessly making fun of animals. I mean, people. 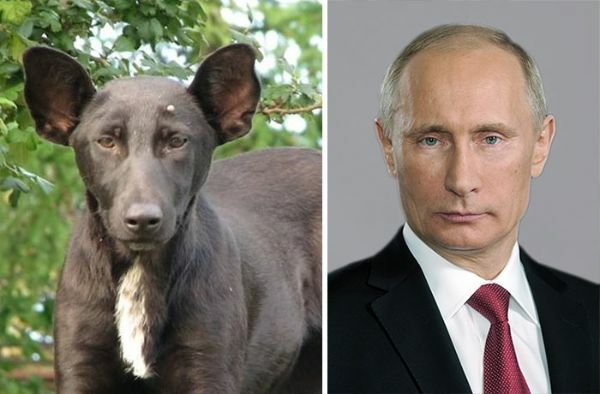 Anyway, these were 10 Stunning Animal And Celebrity Lookalikes. Don’t sue us. Image sources: 1, 2, 3, 4, 5, 6, 7, 8, 9, 10.